When talking with friends, you may have heard the well-known fact that while excessive use of alcohol kills people every year, no deaths have been caused by marijuana. It’s true that while there were 88,000 deaths related to alcohol use between 2006 and 2010, according to the Centers for Disease Control and Prevention, there were zero deaths directly related to marijuana. Despite this, mortality rates shouldn’t be the only factor one considers when deciding if something is safe, yet it seems like it is the only consideration for a lot of college students. Adults ages 19-22 are the least likely adult age group to use tobacco or alcohol, but are also the least likely to see any risks in using marijuana, according to a study by Monitoring the Future. As the risks from using tobacco and alcohol become more and more well-known, the risks of using marijuana aren’t following suit. Some health professionals do see marijuana as a safer alternative to alcohol, but to say marijuana is risk-free is inaccurate. 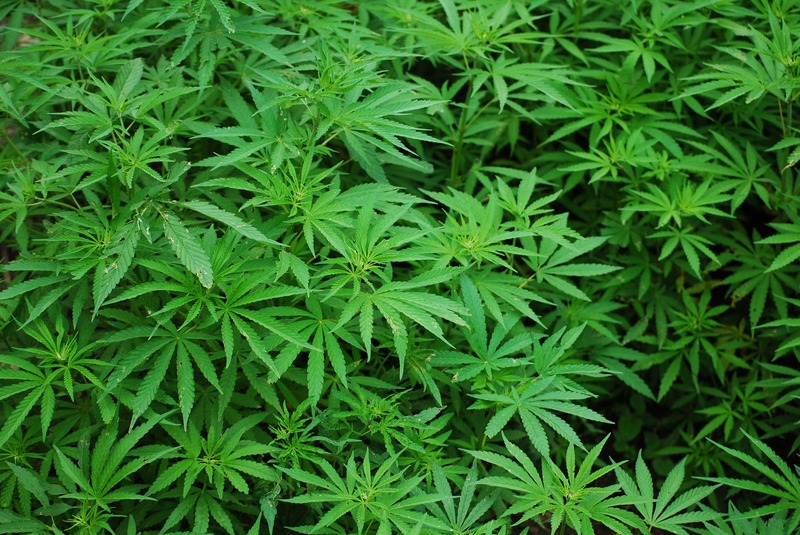 Several studies have shown a link between teen use of marijuana and schizophrenia. A Swedish study followed 45,000 marijuana users and non-users over a 15-year period. These participants had no symptoms of psychosis when first examined, but at the end of the study the researchers found that the marijuana users were 2.4 times more likely to develop schizophrenia, according to Scientific American. A smaller study done in Germany also found a link between lifelong marijuana use and development of psychotic symptoms. Marijuana use could also lead to a drop in IQ, especially if a user starts at a young age. A New Zealand study, which looked at 1,037 people, found that people who smoked marijuana often and began early in life experienced an average decline of eight IQ points by the time they turned 38, according to Scientific American. If a participant was dependent on marijuana at the age of 18, quitting did not remove the problem. Average IQs still declined by the time these participants turned 38. On the other hand, the study found that non-users had their IQ increase an average of one point by the time they reached the same age, according to CBS. Of course, correlation does not equal causation. The author said that those with lower IQs might be more likely to start using marijuana at an earlier age. But even if this is true, she said, those who started smoking as teenagers rather than as adults experienced the biggest decline in IQ, suggesting that the drug affects teen brains worse than those of adults. Some people claim that driving while high on marijuana is safe, or that it helps them drive better. This is statistically untrue. A recent experiment by the National Institute on Drug Abuse had participants use varying levels of marijuana, alcohol and placebos, and tested their driving. The researchers found that participants with a 13.1 ug/L blood concentration of THC, the active ingredient in marijuana, weaved within lanes as much as those with a .08 blood concentration of alcohol, the legal limit for driving under the influence. Admittedly, this THC concentration is much more than has been recorded in most drugged drivers, but this study clearly demonstrates that the drug does have a negative effect on driving. The CDC said that the substance can slow one’s reaction time, impair hand-eye coordination and problem-solving, and cause memory loss, all of which are skills necessary for driving. This means that college students need to employ safe methods to ensure they don’t drive while using, such as having a designated driver who doesn’t smoke or taking an Uber. Additionally, the negative effects from THC could be on the rise, with the potency of marijuana available becoming much higher. The American Chemical Society said that the average TCH potency was around 20 percent in 2015, far more than the 1980 average of four percent. I’m not here to tell anyone that they shouldn’t smoke weed. Marijuana users have reported the substance to have a number of benefits, including more creativity and focus, better sleep, less anxiety and, to some degree, social acceptance. It also has many important medicinal uses, as Floridians acknowledged when they voted to legalize medical marijuana in 2016. But like with any drug, one should consider both the rewards and the risks before deciding to partake. I drink several cups of coffee per day, knowing it might hurt my sleep and raise my heart rate, but those are risks I’m willing to take because the caffeine helps my productivity. College students who choose to use marijuana need to make sure that their choice is an informed one.